Continuing on the theme that Republicans Can Be Leftists Too is the latest installment. And the guilty party? 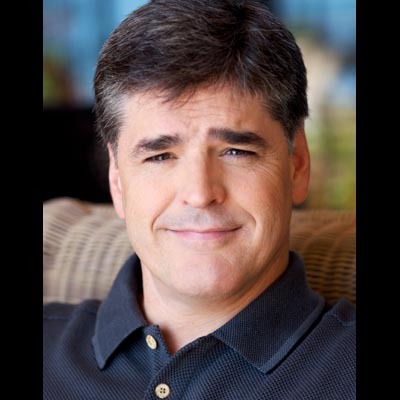 None other than the Left’s favorite bloviator Sean Hannity. I have been late in posting on this topic, and really, I should have been on top of it from the time it hit. The proposed mosque in New York City near the site of ground zero. Me? Bad form. But if they wanna build it, they should be allowed. Look, the pain and the scars of 9/11 are going to last for decades. At least after Pearl Harbor we were able to rally, wage war and emerge victorious. We’ve largely been denied that this time ’round. After a dominating victory in Afghanistan followed by another in Iraq, we’ve largely failed min “winning” much of anything since. In fact, we seem to be somewhat in a defensive stance. And America doesn’t like to be in a defensive stance. A chorus of critics — from neighbors to those who lost loved ones on 9/11 to me — feel as if they’ve received a swift kick in the teeth. Plans are under way for a Muslim house of worship, topped by a 13-story cultural center with a swimming pool, in a building damaged by the fuselage of a jet flown by extremists into the World Trade Center. The opening date shall live in infamy: Sept. 11, 2011. The 10th anniversary of the day a hole was punched in the city’s heart. I would hope that a leader of the Muslim faith would have the understanding that such a mosque would create feelings of ill will. That a certain empathy should exist between faiths, cultures and people. I can admit that there may be some “poor form” in the building of a mosque on the site of Ground Zero. But that’s about as far as I’m willing to go. See, we’re about tolerance. We’re about freedom from religious persecution. We’re about Liberty. Sean and his guests debated the issue. Even before the debate can begin, Sean is hammering Michael Gross, the civil rights attorney, about the content and intentions of the man building the mosque. None of which, of course, have anything to do with the Right of a man or a group of people to build or not build a religious structure. Is it in poor taste? Again, I think so. Does the Imam have the right to purchase property and build a mosque there? Most certainly. Again, we see the Right trampling the rights of those whose religious beliefs don’t correspond with their own. This entry was posted in Liberty, Politics: National, Republicans Can Be Leftists Too and tagged Democrat, Jay Sekulow, Leftist, Michael Gross, Republican, Sean Hannity. Bookmark the permalink.